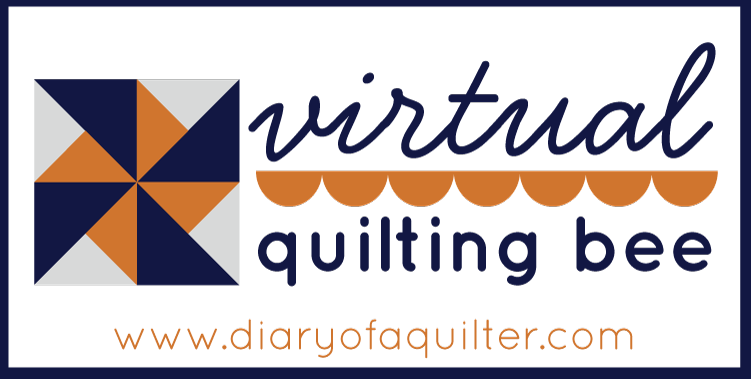 It’s hard to believe that we are already on Block #8 of the Virtual Quilting Bee – which means we are almost half way there! 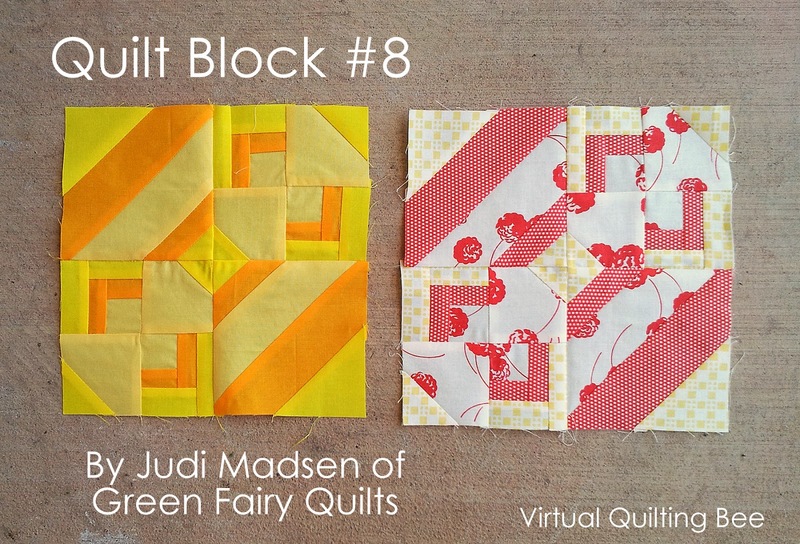 This month the block is designed and taught by Judi Madsen of Green Fairy Quilts. Doesn’t it look fancy? I’m so excited to learn Judi’s technique for making this block. It is a little more detailed than some of our earlier blocks, but we are ready for a new challenge! Just keep in mind what I shared in my last post: pin your points when you sew and sew your seams with a scant 1/4″ seam allowance. Don’t forget to press carefully – don’t stretch the fabric. You’re going to do great! If you are not familiar with Judi or Green Fairy Quilts, you must check out her blog to see her amazing quilting! Judi and her husband also own an online fabric shop specializing in pre-cut fabrics, specifically Moda’s, at great prices. 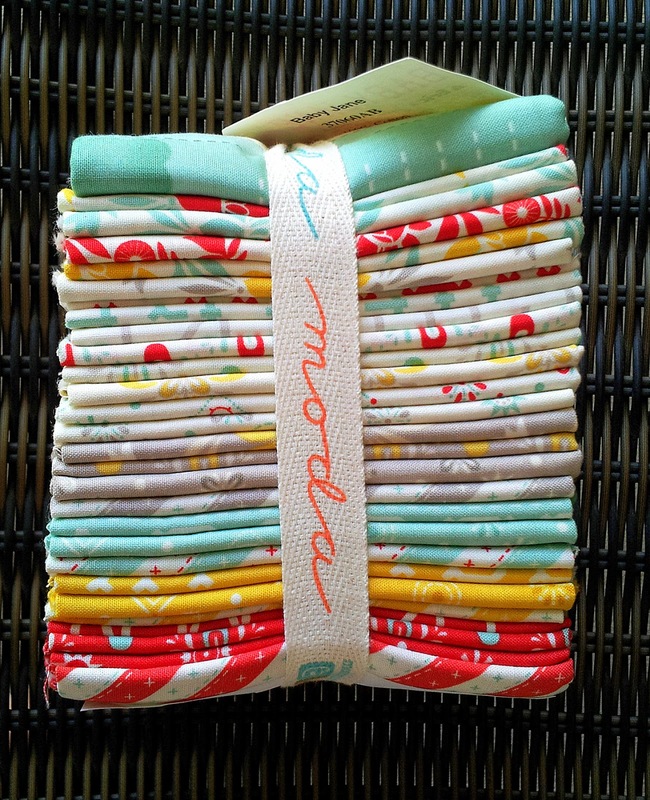 And today Judi is offering to giveaway a fat quarter bundle of Moda’s new collection Baby Jane by Cosmo Cricket. I have been seeing sneak peaks of this line popping up in social media land and I am totally smitten. I may have break down and get some! I’m already signed up for Green Fairy Quilts newsletter! Love this fabric line – soft colors with the pop of red. Many thanks for the inspiration! Thanks again to Judi for the latest block tutorial and for a snazzy giveaway to go along with it! I follow green fairy quilts! And get their newsletter! I follow Judi! And get her newsletter. Love her blog and her talent. Thanks for the great giveaway, that is a very interesting block. I receive the Green Fairy newsletter.Judi has a great quilt shop and is a beautiful quilter. Btw, hope you and your family are having a great summer! Wowsers! Isn&#39;t that a great block! I can&#39;t wait!<br />And Yes, I&#39;m all signed up for the newsletter! Love the yellow block! I get their newsletter. I am a lover of the green fairy! Oooh great giveaway! Thanks. I did sign up for the newsletter too. Love Green Fairy, and I&#39;m already signed up for their newsletter!!! I&#39;m so excited about this block; it&#39;s lovely! -Danielle B.
I love Green Fairy quilts and order from them often. I am already signed up for their newsletter! I already get the Green Fairy newsletter. It&#39;s full of temptation every time! Love the block, can&#39;t wait to make some of the Virtual Quilting Bee blocks. I am a follower of Judi and yours 🙂 I get Judi&#39;s newsletter. would love to win such a nice bundle! I already get the newsletter from Green Fairy—and just received an order from them last week! These blocks look great! Just signed up for Judi&#39;s newsletter. and now will be a follower of yours too! I am signed up for their newsletter. Love this new collection! Enjoying this virtual quilting bee. And I am already signed up for the Green Fairy newsletter. I already get the Green Fairy newsletter. Thanks for the chance to win-I love the Baby Jane fabric! I follow via Bloglovin and I just signed up for the newsletter. I am signed up for their newsletter! Thanks for the chance to win! All signed up. Love the site and all her eye candy. I am signed up for the newsletter – thanks for the chance to win! that&#39;s a great shop and new to me. I&#39;ve signed up to the newsletter. I do get Green Fairy&#39;s Newsletter, always something to tempt me there! Thanks for a great giveaway. I signed up for the newsletter over a year ago and shop there frequently! Love this Baby Jane, thought about using it for the QAL that Judi is hosting! Signed up for the newsletter!! Love the fabric! Excited for another block! I love green fairy quilts, that is actually where I got my fat quarter bundle for our quilt along. I already subscribe to their newsletter! Love getting because they offer great sales! I signed up for their newsletter, thanks for the chance! I love that block, especially in all solids! I already get the newsletter from Green Fairy Quilts. I highly recommend them! Friendly, fast, and great deals! Free shipping, need I say more? I&#39;m signed up for the Green Fairy Quilts newsletter, thanks for the chance to win. I already get the newsletter …..love the new Cosmo Cricket fabric. Thanks for the chance! I receive Green Fairy Quilt&#39;s newsletter, and would love the chance to win this fabric, it&#39;s gorgeous! I&#39;m signed up. Please pick me…..<br />Thanks for the chance to win some beautiful fabric. I get The Green Fairy Newsletter. Oh, this block looks tricky, hope I can do it. I just signed up for the newsletter – the fabric looks lovely. Looking forward to piecing the new block tomorrow. I already get the Green Fairy Newsletter. Love this fabric. Thanks for the great giveaway. I&#39;m all signed up for the newsletter! I already love Green Fairy Quilts – I discovered them through your blog, so kudos to you. I can&#39;t wait to make this block. Thanks for the opportunity… I&#39;ve signed up for the newsletter. I love that you can pre-order fabrics coming out in the next 5-6 months now… I&#39;m going crazy over so many lines from market, now I can plan my purchases and relax! I am already signed up for the newsleterr and love Green FAiry Quilts. Thanks for the chance to win. I love Green Fairy Quilts. Always great prices and great selection. I&#39;ve been signed up for their newsletter for a few years now, it&#39;s wonderful but dangerous! I signed up for the newsletter. Love the new VQB block! I&#39;ve been following Judi for a long time – already get her newsletter. Thanks for sharing :). I follow Green Fairy Quilts and get their newsletter. Thanks for the giveaway! I signed up for green fairy&#39;s newsletter, thanks for the opportunity to win this great fabric! I love this collection and I would love to win it! I signed up for the newsletter – thanks for the chance to win! I follow Green Fairy Quilts and I get Judi&#39;s newsletter.<br />Thanks for this generous giveaway! I love this block — I&#39;m trying to imagine the variations of designs for a whole quilt using this block — I think it would look really cool! I just went and signed up for Green Fairy Quilts&#39; newsletter. Thank you for the chance to win! I already get their newsletter and dearly love her blog and quilts! Thank you for the giveaway. I already get the Green Fairy newsletter. I love to order from them! I&#39;m signed up for her newsletter a while back. She has great sales and Customer service. Awesome giveaway! I signed up for their newsletter. I just signed up to receive Green Fairy Quilt&#39;s newsletter. What a generous give away!!! Thanks for the chance to win this beautiful fat quarter bundle! I&#39;m already signed up for Green Fairy Quilt&#39;s newsletter! Baby Jane is an adorable line of fabric, and the colours are perfect. Just signed up for her newsletter. I couldn&#39;t find the link on her store that you linked but I found the newsletter sign up on her blog. Thanks for the chance to win! Love your blog and work too! Snap!!! That quilt block is awesome!!! I am already happily signed up for Green Fairy Quilts&#39;s newsletter! I&#39;m signed up! Cute blocks! I get their newsletter. Thanks for the chance to win! I&#39;m signed up for their newsletter. Love Baby Jane, I want I want! Hi!!!! Very pretty block!!!! I follow Green Fairy Quilts and signed up for their newsletter!!!!! Thanks for the fun give away!!!! Judy&#39;s quilting is so amazing, oh to be that good. I believe I was already subscribed to her newsletter, but I did it again just to be sure. I am already signed up for the newsletter. Thanks for the awesome giveaway! I am all signed up for their newsletter. I check their website periodically for new fabrics. Thanks for the chance to win. All signed up! Looks like a great shop! I signed up for their newsletter, and crossing my fingers that I win that snazzy stack of fabrics…sew fun! I signed up for the newsletter and know that they have amazing sales. Would love to win that stack of pretty fabric. Thanks. I am subscribed to the newsletter already. Just love her site! Thanks for the chance to win! I already recieve the newsletter!! Thanks for all the inspiration!! I am subscribed to the newsletter! Thanks for the opportunity! I am subscribed……….. GREAT bLOCK! I&#39;ve signed up for Green Fairy&#39;s newsletter and would love to get the Baby Jane fabric bundle! Thanks for the chance. I&#39;ve signed up for the newsletter! Thanks for the chance! Wow, what a giveaway! I get Judi&#39;s newsletter (and have for a while). Thanks so much — I would love to quilt that bundle! I&#39;m already a newsletter recipient, but had to go check out the sale and bought a layer cake of Simply Style! I&#39;m signed up for the newsletter. Great giveaway – thanks! I signed up for the newsletter. This fabric is a-mah-zing! Yep, I signed up for the newsletter, many thanks for the chance to win. Good thing I already get her newsletter because this is an AWESOME giveaway!!! I already get Green Fairy&#39;s newsletters. Judi just sent one out with a great coupon code. Love Sweet Baby Jane too, Cosmo Cricket is my most favorite designer and I always pick up a FQ bundle of their new releases. I&#39;m already signed up for the newsletter. Great give-away! Thanks!! I already receive Green Fairy&#39;s newsletter. 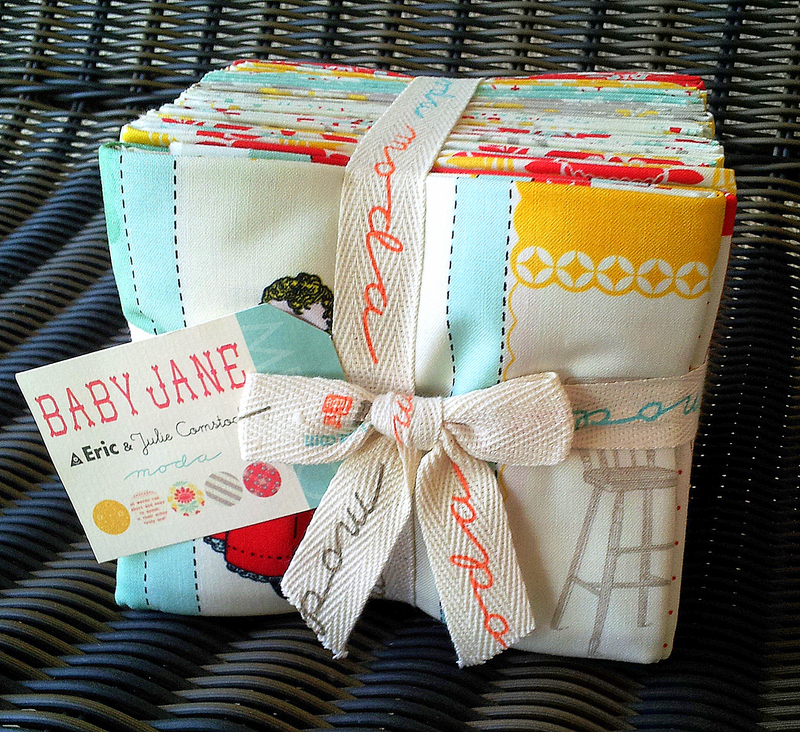 Baby Jane is such a cute fabric line I may just have to pick up some of it. Thanks for the chance! Yay I already get the newsletter by email – this is a wonderful giveaway!! Yummy fabric!!! Thanks for the giveaway! I receive the newsletter!! I am signed up for the newsletter. Thank you! Luv the block! Signed up for the newsletter.<br />Thanks for the giveaway! I am signed up for their newsletters! They have great deals on fabric. Thanks for the chance to win. Thanks! I signed up for Green Fairy Quilt&#39;s newsletter. This Baby Jane fabric is awesome! If I don&#39;t win it, I&#39;ll definitely have to buy some. :). Thanks, Judi and Ay, for the giveaway! Hi! I already get Judi&#39;s newsletter. I love the new line Baby Jane! It is so cute! Thank you for the chance to win, but if I don&#39;t, I&#39;m going to have to buy some because I know the perfect quilt to make up with it!!! I already get the Green Fairy Quilts newsletter. Love the FQ bundle. I already receive the newsletter and love their customer service! Just signed up for Judi&#39;s newsletter. Checked out her blog too. What an amazing quilter! I already get the newsletter – LOVE the shop and her amazing quilting skills! Thanks for the chance! I signed up with my yahoo account. What wonderful fabrics. I am always looking for new resources. I already receive their newsletter, love their shop and Judi&#39;s quilting! And this fabris! Green Fairy Quilts is already my favorite on-line fabric shop for precuts. I&#39;m a fan of Judi&#39;s clever quilting and your darling blog. Can&#39;t wait to see this new line from Cosmo Cricket. I just signed up for the newsletter although I was always visiting her site. It&#39;s one of my Favorites! Thanks for the chance to win some yummy looking fabric. I already receive their newsletter – I&#39;ve ordered from them many times. Am already on their list and have purchased from this store before – great stuff! I have been receiving their newsletter for quite some time and have also ordered from them…..great service and communication! Thanks so much for the wonderful giveaway! I already receive their newsletter. This is one fancy looking block! I&#39;m so glad Judi showed us the picture of how a bunch of them would look together in a quilt because I would not have thought to do that and setting a bunch of them together totally transforms the look of the block. Cool! I already receive their newsletter. Thanks for the chance to win such beautiful fabrics! I now receive their newsletter.. thanks for the chance to win! Beautiful fabric!! I am already receiving their newsletter, but had not been to her blog. Looking forward to sewing block number 8! It is a little more tedious:) I would LOVE to win the bundle, what sweet fabric. I signed up for their newsletter and would love to win the fabrics! I follow green fairy quilts and get their newsletter too! They are a fabulous online quilt shop! Signed up for the newsletter would love to win fat quarter bundle!! I&#39;ve been following Green Fairy Quilts for quite some time receiving their newsletter and since I&#39;m an admirer of the extremely talented Judi, I follow her blog. She really is a great quilter!! I have been on Green Fairy Quilts and love love their variety and specials. What a great block and who wouldn&#39;t want some Fat Quarters.. I am allready subscribed to the Green Fairy Quilt Newsletter. That Baby Jane is a very pretty bundle. Thnak you for the chance to enter your giveaway. I signed up. 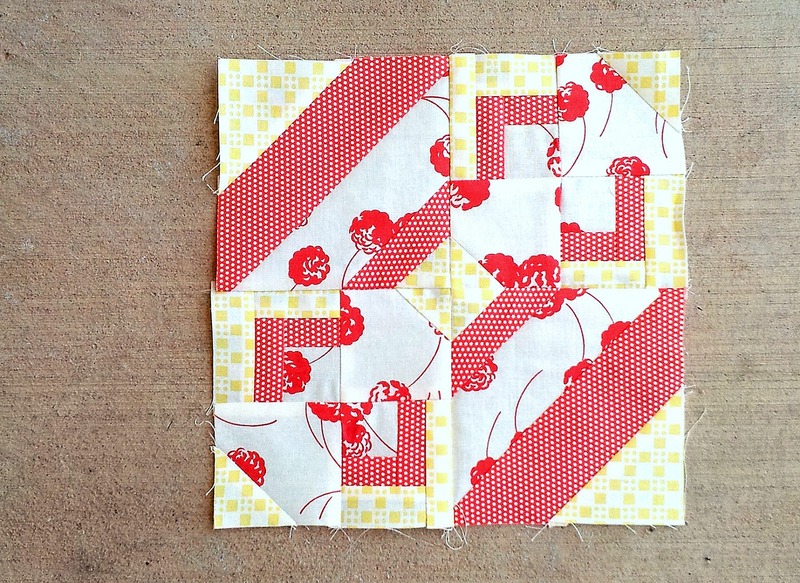 I love the store and her amazing quilting on her blog! I get Green Fairy Quilts newsletter. This is such a cute collection! I already get their newsletter.<br />Wow, terrific giveaway, thanks for the chance to win! Signed up to follow, I also follow you. Awesome block for the virtual bee as always. I follow green fairy quilts and get their newsletter . I already get their newsletter and read the blog regularly. Thanks to both of you for the chance to win. I love baby Jane. Subscribed to newsletter and following blog. Love this quilting bee! Thanks again! I get their newsletter as well as buy from them! Love them and this block is amazing. Beautiful fabric – I already receive their newsletters and emails. I just signed up for the newsletter! I am going to take a peak around! 🙂 Thanks!! I follow the Green Fairy blog and get the newsletter. I get the newsletter. Judi is so talented! I am a follower of Judi at Green Fairy/ Love this line. I signed up for the newsletter. The fabric is really cute, thanks for the chance to win. Love Judy&#39;s quilts! She is an amazing quilter. I signed up for her newsletter. Thanks for the opportunity to win that fat quarter bundle! Fun! I&#39;m already a subscriber to Green Fairy Quilts&#39; newsletter. Would love to win this fabric! I follow Green Fairy via email and I get the newletter…and I order from there! Wonderful fabrics! I am already subscribed to her newsletter. She&#39;s amazing. It&#39;s no surprise that her block looks so great too. Thanks for the chance to win. Very cute. I already subscribe to Green Fairy Quilts newsletter. Thanks for the chance to win. I&#39;m all signed up for the Green Fairy Quilts Newsletter! :)<br />Beautiful Fabric Collection and what a FUN! Quilt Block!! I get Judi&#39;s newsletter. Love her shop. I already receive Judi&#39;s newsletter. Thanks for the giveaway! I&#39;m on the list for Green Fairy Quilts and have ordered from them. Great fabrics. I follow her blog &amp; signed up for the newsletter. Judi is an incredible quilter. I&#39;m on their mailing list. What a generous giveaway. I already am signed up for Judi&#39;s newsletter and would be over the moon if I won that beautiful bundle!! I already get the newsletter – it&#39;s such a great shop! Thanks for the chance to win the bundle. I love baby Jane! I get the newsletter! Thanks Judi! I signed up, maybe for the second time. What gorgeous fabric! I have followed Green Fairy for a long time. I love Judi&#39;s quilting, it&#39;s awesome. Thanks for the chance to win this yummy bundle. I signed up for their newsletter! Love that fabric! I receive their newsletter, great online shop! I receive Judi&#39;s newsletter. Thanks for offering a great giveaway! I am signed up for Green Fairy Quilts newsletter. I lve Judi&#39;s shop. I get the Green Fairy Quilts weekly letter regarding their website and sales and always check out the fabric. Really like them and their prices. This is a great giveaway and I like the block! Thanks for sharing. I receive Green Fairy Quilts newsletter already – love it! Thank you for the chance to win! Signed up and confirmed. Looks like a wonderful shop and love that fabric line! Amy, I already get the Green Fairy Quilts newsletter. In fact I am a return customer of theirs! Thanks for the giveaway! I&#39;d love more of their pre-cuts! I already receive the GFQ&#39;s newsletter. It&#39;s really fun!! I already receive the GFQ newsletter and do plenty of shopping there. Love Judi&#39;s quilting! Thanks for the chance to win some yummy fabric! I subscribed. Love the Baby Jane line! I love getting their newsletter. My wallet, on the other hand, may not like it quite so much. Great quilt a long, Amy! I already get her newsletter. Thank you for sharing this giveaway with us today. I&#39;m already a follower. Thanks for the chance – fingers crossed! I receive Green Fairy Quilts email newsletter! Thanks for the chance! I get Green Fairy Quilts newsletter already. Always great deals to be had. I have been following Judi for awhile and I get her newsletter. I love her quilting!!! Of course I follow her newletter! Judi is a quilting goddess! Thanks for the giveaway! Thanks for the give away! I have signed up for the newsletter! I am a fan of GFQ and get their newsletter. what an awesome &amp; generous giveaway!I hope I win! Signed up for Green Fairy Quilts newsletter, thanks for the chance to win! Just signed up for the newsletter! Love the fabric! Thanks for the giveaway! I signed up for Green Fairy news letter. I signed up for Green Fairy Quilts newsletter. Thank you for a chance to win. I am signed up for the Green Fairy Quilts newsletter. Thanks for a great give away! I already receive Green Fairy Quilts newsletter. She has a wonderful selection of precuts at great prices!! Thank you for a chance at the giveaway! Love her block too!! I love Green Fairy Quilts and am signed up for her newsletter! Thanks for a chance to win! Thanks for the giveaway. I already follow Green Fairy Quilts. I signed up for the newsletter. 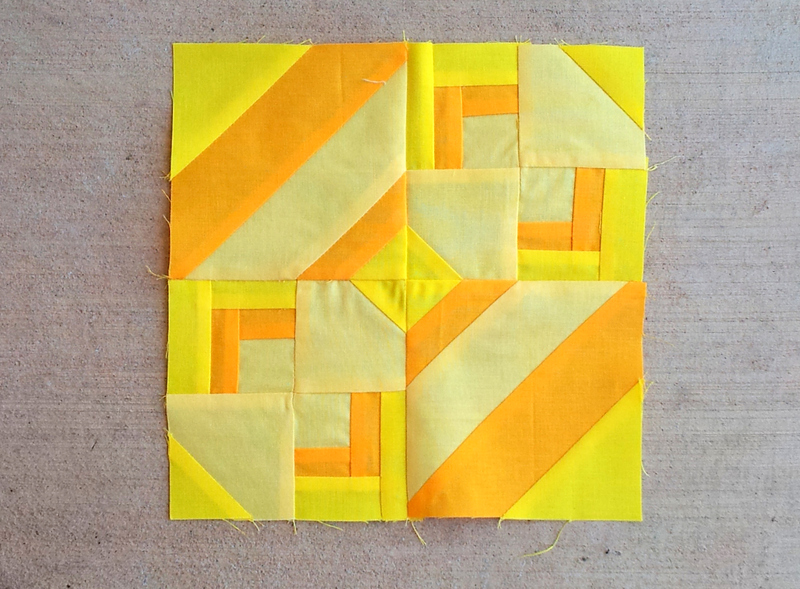 Love the fabric and the block! I get Judis newsletter! thank you! I am already signed up for the newsletter! She is amazing! Thank you both for the giveaway! I just signed up to receive Green Fairy Quilts newsletter. The baby Jane line of fabric is beautiful. My daughter is expecting and I am so ready to make the baby a beautiful quilt. Thank you for a chance to win this beautiful line. I&#39;m already signed up too!! Love Green Fairy Quilts! Signed up for a newsletter! Love your quilts too! Planning on adding this block for ideas on future quilts! And I really want to make your simple stripes quilt! I already receive Judi&#39;s emails. Thanks for the great giveaway! I&#39;m signed up for their newsletter, thanks so much! I just signed up for Green Fairy Quilts newsletter–thank you so much for the give-away! What a great giveaway. I signed up for Judi&#39;s newsletter. Have followed Green Fairies for a long time. I&#39;m signed up for Green Fairy Quilts newsletter. Thanks for the opportunity to win the fabric! I signed up again for the newsletter, and I follow her on Facebook. Love all of her fabrics and her quilting is awesome! I am already receiving the Green Fairy Quilts newsletter. I would love to win this bundle. This fabric is adorable. Thanks so much! All signed up, I LOVE this line! I already get the Green Fairy Quilts newsletter. Thanks so much for the chance to win! Thank you for introducing my to Green Fairy Quilts. I signed up to start receiving her newsletter. And Thanks for the giveaway! Love the Historical Blends! I can see them as transition OR focal fabrics. I&#39;m already a follower and receive the newsletter!! I love this quilt block…very unique! Thanks for the great giveaway too! I signed up, and I LOVE this fabric!!! I&#39;m signed up for their newsletter. Thanks for the chance. Signed up for the newsletter. Thanks for the great giveaways. What a cool block. I couldn&#39;t believe the quilt it made to see rows of them put together – so fun! I&#39;m already a subscriber to Judy&#39;s newsletter. I just signed up to receive the Green Fairy Quilts newsletter. Thank you for the giveaway; it&#39;s a nice bundle! I signed up for the Green Fairy Quilts newsletter. Thanks for the generous giveaway of cute fabric! I already receive their newsletter, thanks for the giveaway! I get Judi&#39;s newsletter, follow her blog and am a faithful customer. Love her awesome quilting too! Signed up for the newsletter and excited for this giveaway! I already receive Green fairy quilts newsletter , thanks for the chance !! I already receive the Green Fairy Quilts newsletter. Judi&#39;s shop has great choices and prices. Thanks for offering the giveaway. I&#39;m already signed up for Green Fairy Quilts newsletter. And I love the block she designed!<br />Thanks for the giveaway. I have signed up for the Green Fairy Quilts newsletter, now sign me up for the giveaway! thanks. I receive the green fairy quilts newsletter already – thanks so much for the generous chance! just subscribed… but not just for the giveaway! beautiful shop. I already receive the Green Fairy Quilts newsletter. I&#39;ve been a follower for about a year. Thanks for the opportunity to win these beautiful fabrics. Hope I&#39;m a winner!!! This fabric is so lovely that it makes my heart beat faster! What a great giveaway. Thanks for the instructions for block #8 too. I already receive the Green Fairy Newsletter. And on a different subject Amy, I love your father&#39;s day quilt! I already subscribe to her newsletter, and order from her frequently!!! Love this fabric–thanks for the chance to win!! Just last week I signed up for the Green Fairy Quilts Newsletter. I have never done a quilt-a-long or participated in a virtual quilting bee. But I think I will try even though I&#39;m not sure how to post my quilt blocks to the Flickr group…. I signed up. These fabrics are so cute, thanks for the chance! I get the newsletter. She has fantastic prices. Signed up for the newsletter! Love the Baby Jane collection 🙂 go spurs go! I have subscribed to the newsletter. Thank you for the giveaway. I follow green fairy quilts! And get their newsletter! Thanks for the chance to win! I signed up for the Green Fairy Quilts newsletter! Thank you for a great opportunity to win some awesome fabric. I&#39;m already signed up for the Green Fairy Quilts newsletter. Just subscribed yo the Green Fairy newsletter. Thanks for the giveaway! I&#39;ve subscribed- thanks for the giveaway! I signed up for the newsletter and would love to win! Thank you! I&#39;ve been signed up for their newsletter for quite awhile. They have amazing customer service and very fast shipping. Anytime I&#39;ve had a question, they have responded within an hour. I have had my eye on Baby Jane for a couple weeks now, and I would love to win it! All signed up for Green Fairy Quilts newsletter! Looks like a super online shop! I also already get the newsletter. Love the colors in that stack of fabric!! I&#39;m all signed up! Thank you. I signed up for the newsletter! Thanks for the giveaway. I&#39;ve been following Judi for a while and LOVE her work and her shop! Thanks for the giveaway! Hi! I signed up at Green Fairy and thanks for letting us know about GF, I liked what I saw when I looked around their site. Thanks for the opportunity! I&#39;m already receiving the newsletter! Love this fabric! I follow Green Fairy Quilts 🙂 Thanks for the giveaway!! Already follow her and get her newsletter! She has amazing prices! How could I refuse such a lovely bundle!? Thank you for this opportunity 🙂 I have signed up for the newsletters from the green fairy 🙂 great shop! I signed up for Judi&#39;s newsletter! Thank you for the chance to win such beautiful fabric. Good luck everyone!!! I just discovered Green Fairy Quilts, thanks to you. I&#39;m signed up for their newsletter and hope to win some beautiful Baby Jane! Now I&#39;m off to shop at Green Fairy Quilts. I already receive Judi&#39;s newsletter. i did! i did! i signed up…and such lovely fabrics, ooohh would love to see them in MY stash! thanks for having a giveaway! I signed up for the newsletter. This fabric line is soooo sweet. I&#39;m signed up! Thanks for the giveaway! I love those colors! Just signed up for Green Fairy&#39;s newsletter. Thanks for the chance in the giveaway! I already get her newsletter and wish that i was independently wealthy so I could get something every time I get it. I love Judy and everything she does. I am on her newsletter mailing list. I already subscribe to the Green Fairy Quilts and love the selection of fabrics the are available.